We know we're biased so don't just take our word for it...our students can say it for us. "I found the structure and feedback excellent - I enjoy working at my own pace, and being able to have shared the experience with like minded people…"
"I have already used techniques (you taught me) such as 'graphic flip chart' with feedback that it has brought clarity and engagement. ‘Roadmap' has been used to convey to staff groups vital steps required to implement a new process. People have noticed a change in my communication and congratulated me on the use of visuals - 'keep it up -it really helps me' a comment which really struck a chord. It has made me think differently and helps me drill down to the absolute key bits of information. Thank you!!" "I have thought further outside the box in meetings and been able to change how I do meetings and it has made it easier to plan events and training sessions." "The course has raised my confidence in working visually and given me alternative methods to use with my client group, improving the diversity of how I am able to meet their needs." "The whole team have benefitted hugely from Cara's teaching and expertise"
"I liked the resources to reference and the group to interact with"
"The flexibility for me was ideal." "Cara has encouraged me to think differently about learning. 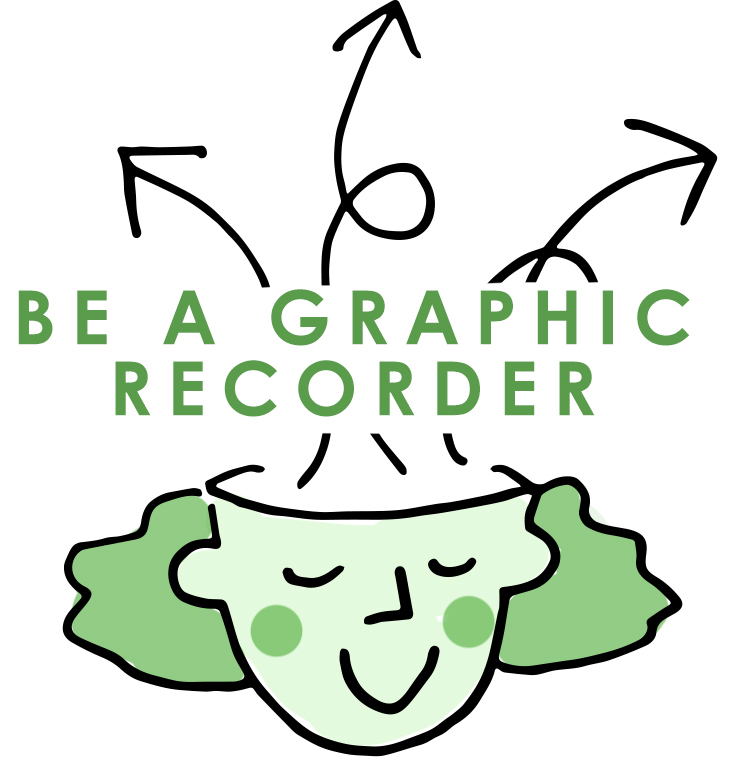 Producing visual records, creating engaging agenda's and including graphics in our training sessions has improved staff engagement levels during training and supported the learning transfer process." "I loved the course. It made me more confident about using visual techniques in my work. It encouraged me to use visuals in a way I wouldn't have done before the course." "The most fun I've had at work!" "The flexibility was really helpful as I could fit the course around other work commitments." 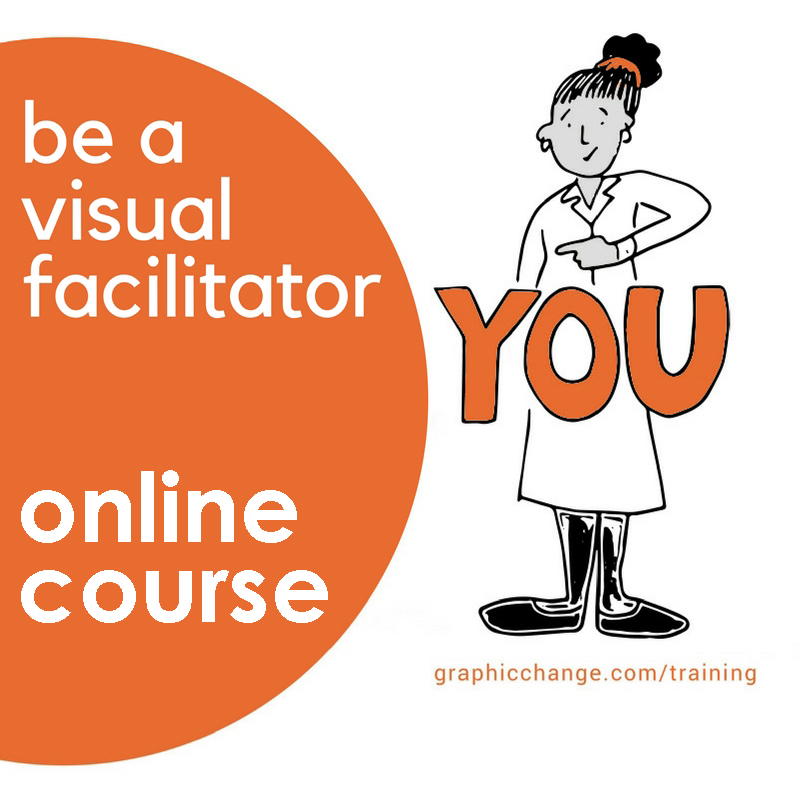 The course "helped me connect with a visual style of communication which is powerful and effective...it helped me think differently about how I approach the design and delivery of my work to improve impact and help ideas and experiences stick." "I value the way that this technique allows me to communicate complex and sometimes controversial ideas and messages in a really inclusive and accessible way." "This approach allowed me to learn at my own convenience and access the materials when it suited me." "The lessons were easy to follow." "The course really helped me get off the starting blocks and try out stuff for real with clients that worked first time!" 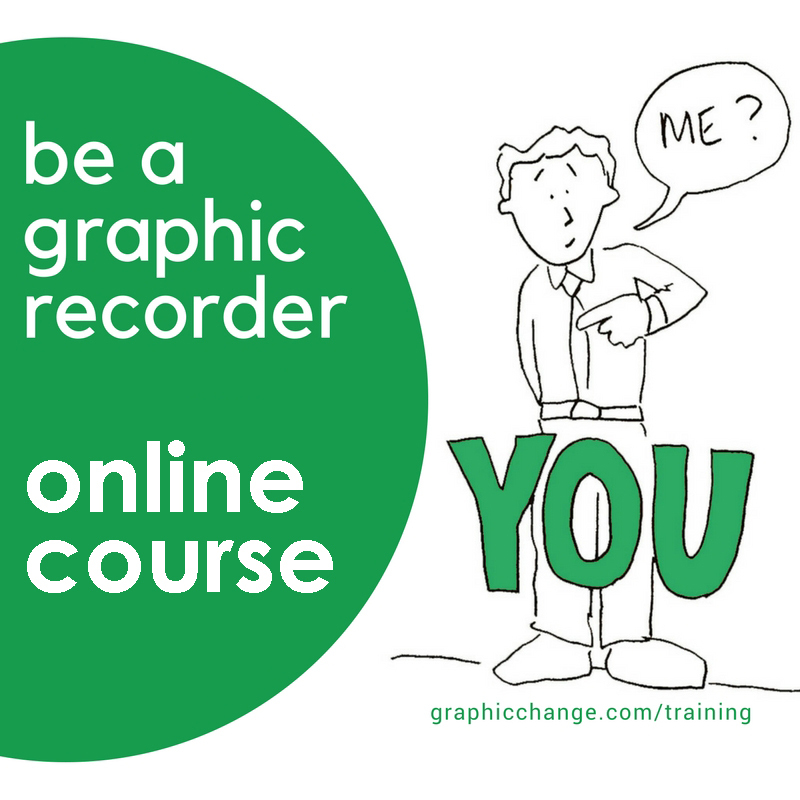 "This course is great value and delivers a very useful set of skills." "I would recommend all organisations to consider visual learning and Graphic Change is a great place to learn the techniques."